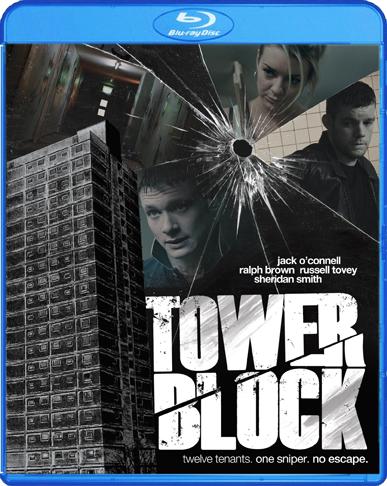 The residents of Tower Block 31 are terrified after witnessing the brutal murder of a young man. The case is left unsolved, due in large part to their collective silence. 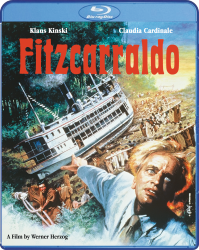 A year later, with their building marked for demolition, the witnesses begin to find themselves picked off one by one by a mysterious sniper out for justice. 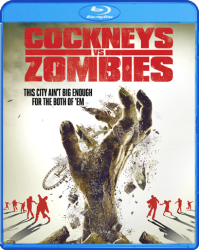 Pitted against not only the sniper’s deadly traps, but also each other, the residents must figure out a way to escape their own building…or die trying. 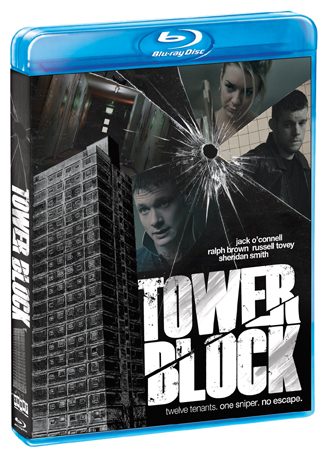 Featuring critically hailed performances by Jack O’Connell (300: Rise Of An Empire) and Sheridan Smith (Quartet) and co-starring Ralph Brown (Stoker), and Russell Tovey (BBC’s Being Human), Tower Block is a pulse-pounding thriller that delivers gritty action and relentless suspense!